Engagement rings represent the love and commitment between a couple as they progress towards marriage and a life filled with happiness, joy, and family. Symbols of love between two people are as unique as their personalities and the emotional bond they share. 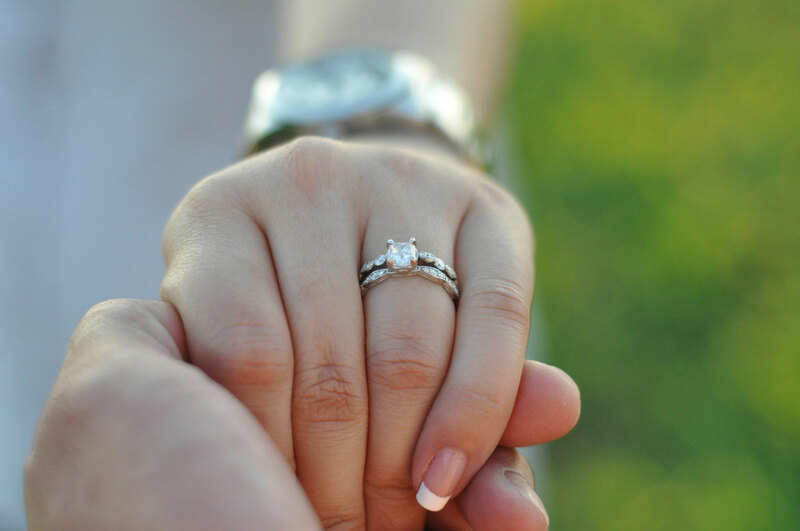 In today’s blog, Preusser Jewelers talks about the history of engagement rings. The earliest known usage of engagement rings dates back to Ancient Rome around 150 B.C. Women betrothed to Roman men were given two rings. They wore a gold band in public and an iron one at home when performing daily chores. At first, only Rome’s upper classes wore gold rings. Eventually, laws changed to allow any women who were free Roman citizens to wear gold engagement rings in public. Fast forward to Europe in the Middle Ages and the Renaissance from 800 to 1500 A.D. Pope Nicholas I declared in 860 A.D. that engagement rings are a necessary part of marriage. The Catholic Church believed the couple should declare their intent to marry openly before their wedding ceremony. The first written record of an engagement ring adorned with diamonds occurred in 1477. That’s when Archduke Maximillian I of Austria commissioned a diamond ring to give to his betrothed, Mary of Burgundy. The very public announcement was a green light for members of the royal court to follow suit. Royals and wealthy citizens took to opulent jewelry to showcase their economic status and their love. Diamond engagement rings took over in the Victorian Age… thank you Queen Victoria! Victorians gave their betrothed rings that held a diamond or colorful gems. Couples would often engrave these rings with romantic sayings or their names. Despite their growing popularity, engagement rings were still a thing for the rich. Then came DeBeers. British companies discovered diamond mines in South Africa in 1866. In 1880, DeBeers took over digging operations in this area. Diamond engagement rings started to come into vogue. In the 1940s the phrase “Diamonds are forever” was marketed. The masses took notice. Proposals with diamond rings have been the stuff of legend ever since. Hollywood movies show elaborate proposals, and music like Beyonce’s “Put a Ring on It” are wildly popular. Social media proposals are posted all the time. At Preusser, we believe there’s an engagement ring for every couple. Come to our store in downtown Grand Rapids to see what Michigan’s finest and oldest jeweler can do for you. Whether you want a designer ring or custom jewelry, feel free to call us at (616) 458-1425 or contact us online for more information.